Thor Helical CD Ties conform to BS EN 845-1: 2013 and conditions for CE marking for retrofit wall ties and lateral restraints. The one-piece stainless steel CD Tie has a two-start helix with a circumscribed diameter of 9mm and a patented pitch accuracy. When hammer-driven into small pilot holes the remedial ties corkscrew into brick, block and concrete to deliver a mechanical fix that grips the wall on each side of the cavity. 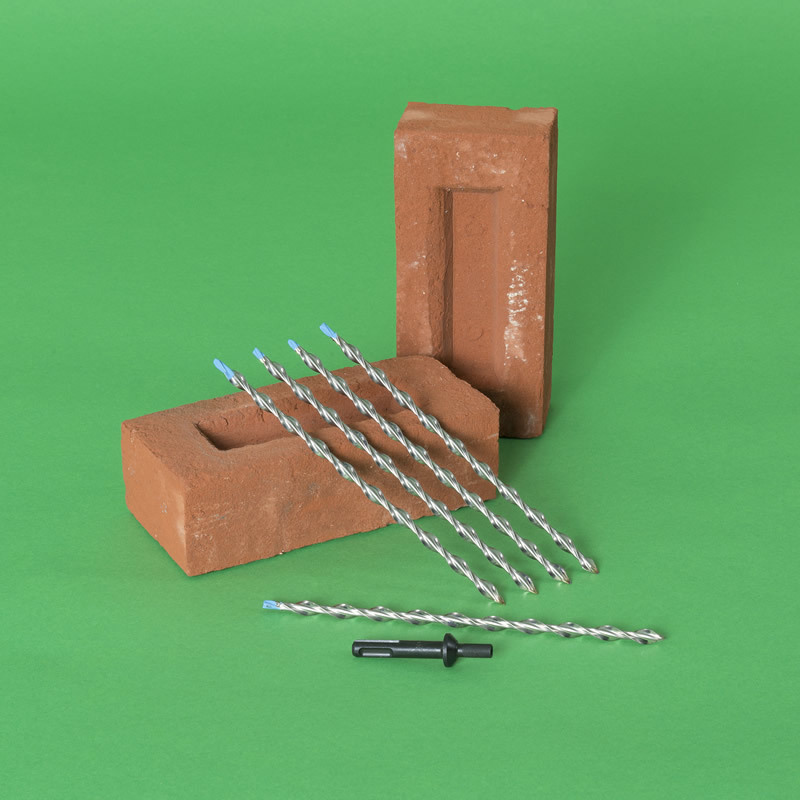 Unlike ties having expanding mechanisms, which deliver point-loadings when tightened, the threaded interlock connection of the self-tapping helical wall tie exerts no expansive stress into the brickwork and will not loosen with vibration. The CD Ties have no combustible components and require no resin or grout bonding agents. 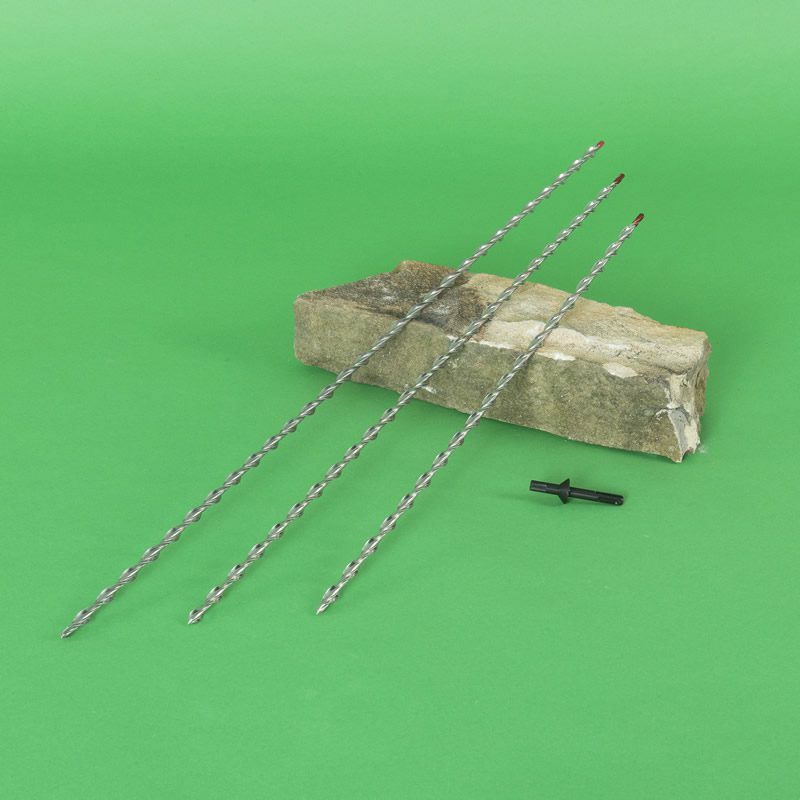 They are suitable for remedial use in all types of masonry and are particularly useful in overcoming fire performance, low temperatures and material compatibility issues. The Thor Helical CD Tie system is patented across four Continents. The retrofit wall ties have a unique driving shank that is engaged into a recessed SDS adaptor. 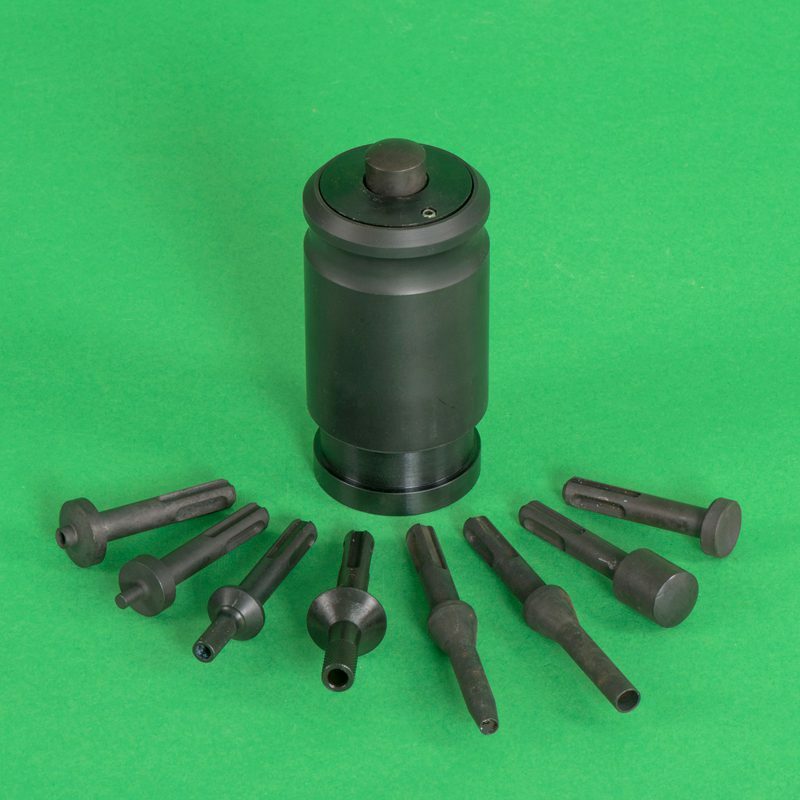 The patented small diameter adaptor enables the tie to be aligned, driven and recessed in one simple operation. 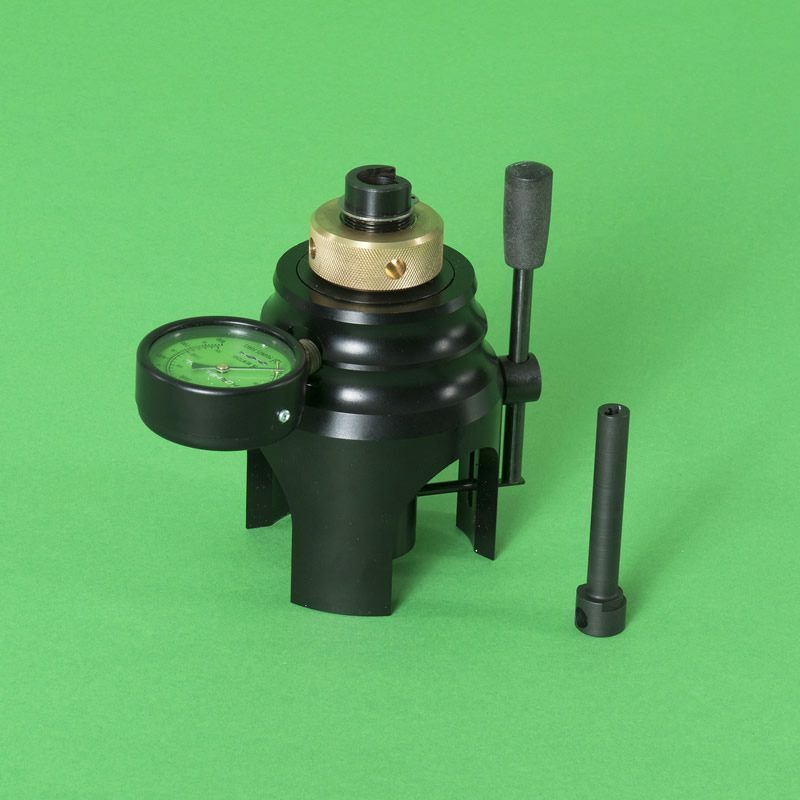 This feature overcomes issues of safety and ease of use that may be encountered by earlier systems which use cumbersome, costly and unreliable telescopic tools. 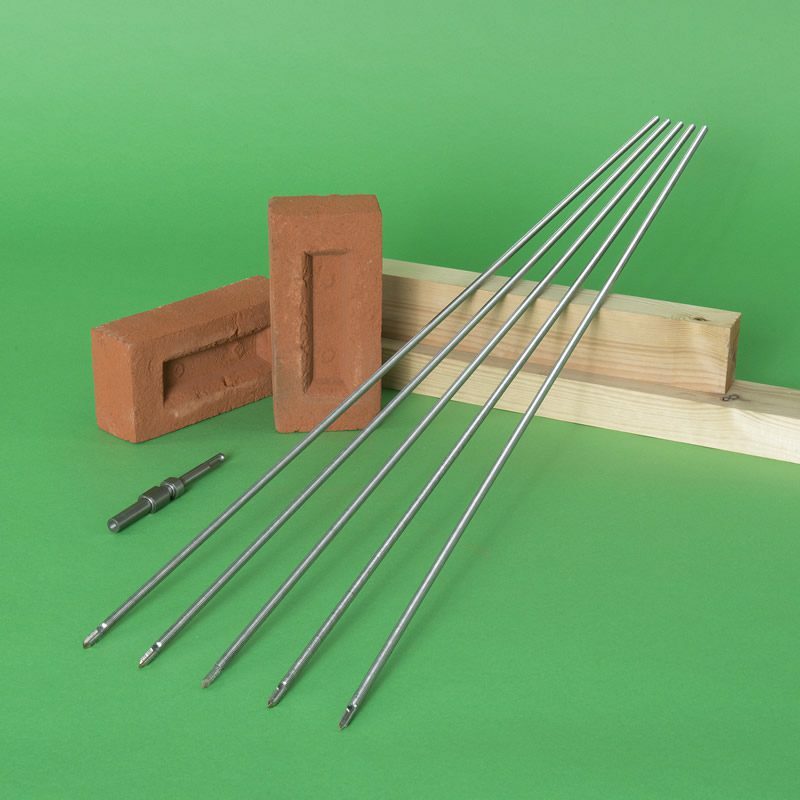 Retrofit wall ties are supplied in cartons of 1000 pieces as standard; they can be packed in distributor-supplied boxes in bespoke quantities. The Thor Helical 9mm ø CD Tie is available in a choice of AISI304 or AISI316 Austenitic Stainless Steel. The remedial ties are supplied in standard lengths of: 155, 180, 205, 230, 255, 280, 305 & 330mm.